We had last seen Queensryche this past August in Lockport, NY. At the time singer Geoff Tate was just getting over a vocal issue, which caused the band a rare cancellation on their calendar about a week prior. Fast forward some seventy-five odd days later, as the band returned to Erie, PA for their first ever appearance at the Bayfront Convention Center. 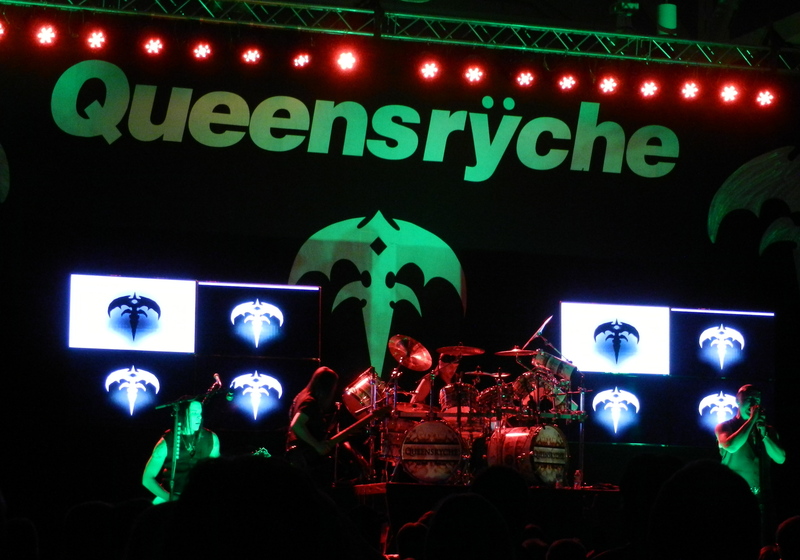 Queensryche’s last visited Erie in 2003 when they ended the “Tribe tour” at the Warner Theater. In the time since, the band has released three studio discs including their latest “Dedicated To Chaos”. On top of touring for their latest release, they are also celebrating their thirtieth anniversary as well. Kicking off the celebration with new track “Get Started” was quite appropriate. It was from there that they gave the audience a complete performance that featured at least one track from every studio album they ever released. Yes, that does include the EP but not the Covers CD. It went over quite well as they played some lessor known tunes as opposed to not always the most popular song from a particular album. A stellar version of “Damaged” had the crowd roaring in approval as they slid into the Mindcrime classic “I Don’t Believe In Love”. As the show rolled along, perhaps the highlight of the night was the double shot of “NM 156” leading to cult fave “Screaming In Digital”. These two songs seem to flow together nicely and still sound fresh today despite being recorded over 25 years ago. Anyone who never heard these two timeless songs might think they were recorded yesterday. The band has played over 40 different songs on this tour alone, making it a diehards dream. The core of Queensryche with the lone exception of guitarist Parker Lundgren has been together for the entire thirty years. Lundgren joined in 2009 following the departure of Mike Stone. When guitarist Chris DeGarmo left in 1997, some say the band would never be the same. While that may be true to an extent, the band has managed to stay true to what they do best, continue to put out music they believe in. The underrated rhythm section of drummer Scott Rockenfield and bassist Eddie Jackson have been solid since day one. Guitarist Michael Wilton has had to adjust playing with different guitarists over the years but always manages to deliver the goods in concert and this was no exception. As the show carried to a close the songs kept coming as arguably their two biggest songs “Silent Lucidity” and “Take Hold Of The Flame” ended the main set. The band recharged for the encores and came out flying with “Jet City Woman”, before ending with “Empire” and “Eyes Of A Stranger” respectively. Anyone seeing this show can clearly see the band has enough fuel left in the tank for quite some time to come. Special Thanks to Jeff Albright for his help in making this review possible!